A common cosmetic concern that occurs with age is the development of jowls, loose neck skin, fine lines around the mouth, deep smile lines (nasolabial folds) and hollowing under the eyes. This is the result of tissue descent in a ‘down and in’ direction that naturally occurs with aging. Our eyes are the focal point during face-to-face interactions, and changes with age can often lead to a tired appearance. This can be from loose skin, puffiness, fine wrinkles and deep shadows. A blepharoplasty is a surgery that tightens the eyelids and gives them a rejuvenated appearance. A brow-lift is a procedure to rejuvenate the look of the upper eyelids. Its popularity has decreased in recent years as a lower eyebrow position in women has become more en vogue and regarded as beautiful. A youthful sensual lip is one that is full and balanced. In aesthetics, the ideal proportion of the upper to lower lip is 1:1.5. However, there are ethnic variations of this ideal. The position of your chin can change the your entire look. A small ‘micrognathic’ or ‘retrognathic’ chin will change the appearance of your nose and make it look large. 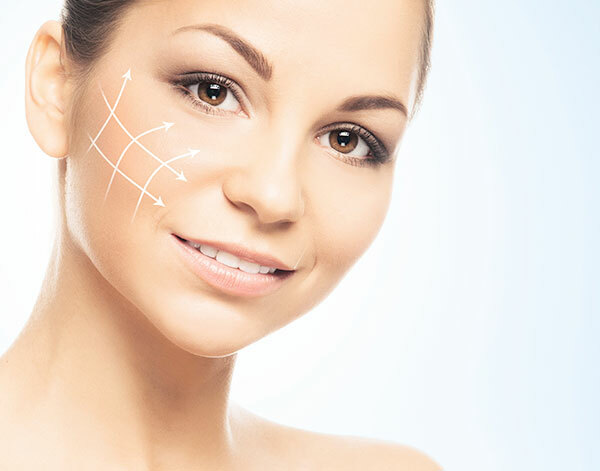 A rhinoplasty is a surgical procedure to alter the shape of the nose. A septorhinoplasty is a procedure that also addresses the nasal septum (middle wall inside the nose) to improve nasal breathing. Otoplasty, or ear pinning, is the surgical reshaping of ears, usually to decrease their prominence. In Ontario, for patients under the age of 18, this procedure is covered by OHIP. Facial scarring can be emotionally traumatic and detrimental to a person’s self-esteem. Whether the scars are from acne, surgery, burns, an accident or assault, most scars can be improved, if not made imperceptible. Book A FREE Consultation With Dr. Brace Now!